Plein air watercolor painting in cold weather can present some unique challenges. If you are not aware of them your watercolor paintings could fail. Recently I went plein air painting with one of my friends. 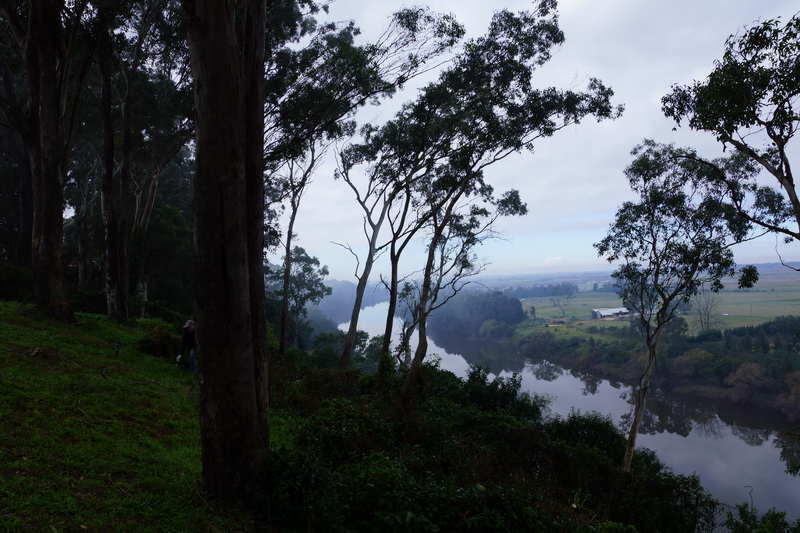 We had planned to paint the Hawkesbury River on the plains looking down from Freemans Reach above. The temperature was around 7 degrees Celsius. This may not be cold in some parts of the world but is quite cold for where I live. 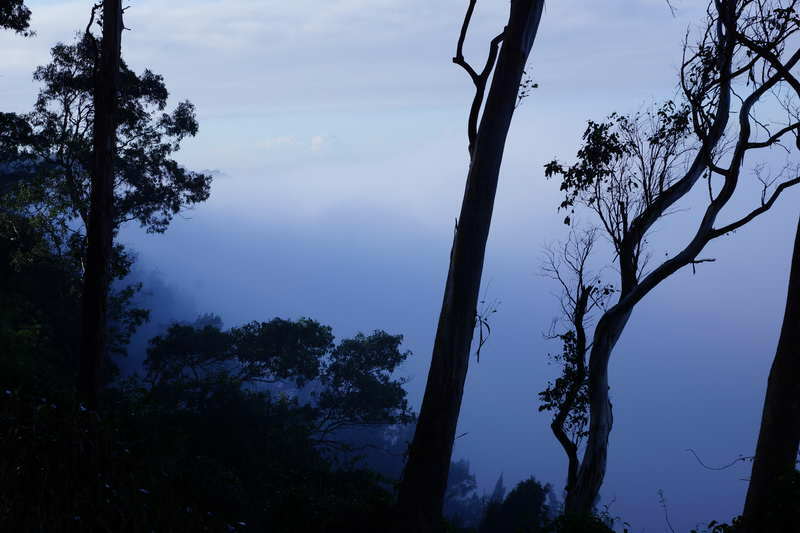 Our first view of what we were going to paint was just mist which you can see from the figure below. A lovely view in its own right but not what we had come to paint. 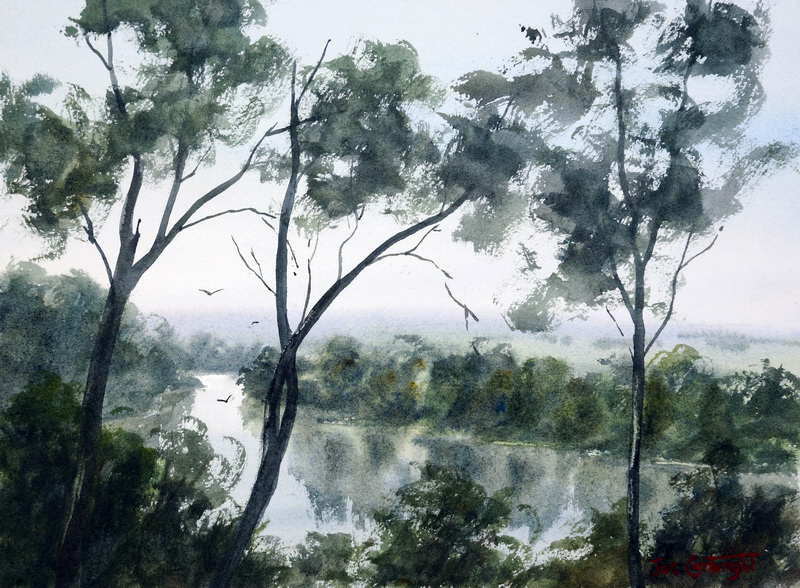 Mist over Hawkesbury plains, prior to plein air watercolor painting, a bit too early. 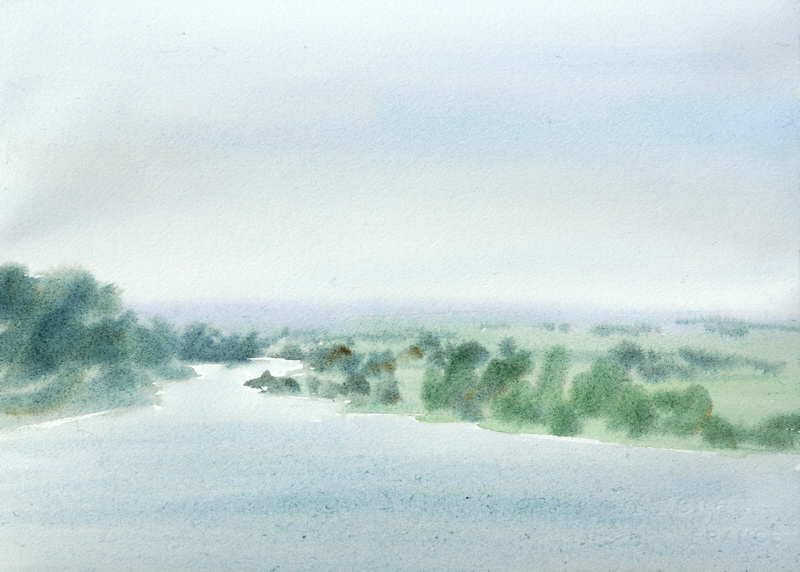 After a coffee and a chat for about 45 minutes the mist started to lift and we were able to get going with our watercolor painting. As with all watercolor painting the important question is “What is the water doing on your brush, paper, and in your palette?” I have previously written about watercolor plein air painting but that article did not deal specifically about painting in cold weather. 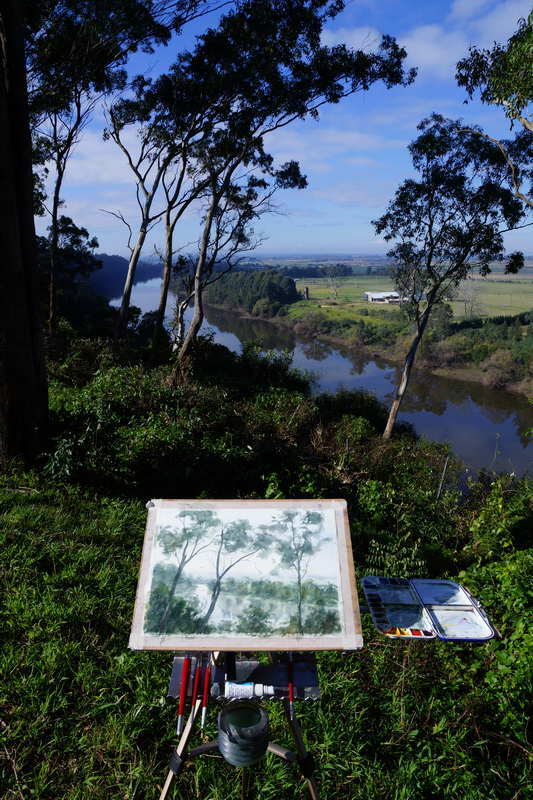 So, below are some of the key points to consider when plein air watercolor painting in the cold. With lower temperatures the water on your paper will dry much slower. The temptation is to keep painting rather than letting the paper dry when it should. In some cases it may not dry at all in which case either try a different subject for the day or finish the painting off later in your studio. Remember if you keep painting into damp paper there is a very good chance you will create mud! A good tip for drying your watercolor paper when out in cold weather is to use your car’s heater. Hop in turn the ignition on and turn on the heating with the setting at head height. If you hold your painting over the air vents the hot air will dry it very quickly. It will also warm you up. Sun fully out by time plein air watercolor painting is finished. Full sun on painting and shadow on palette make judging colors and tones difficult. Here is my finished watercolor painting. I am quite happy with it as I feel it has captured some of the feeling of cold and mist in the scene. Thanks Ro, Yes our granddaughter is just wonderful – it is hard to believe she is already 6 weeks old!